IP56 Power Board 32 Amp 3 Phase with 6x15 Amp outlets RCBO protection. 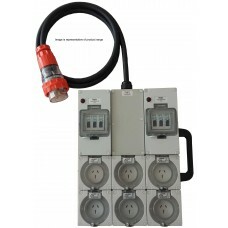 Power board - 32 Amp 3 phase supply with 6x15 Amp IP 56 Rated RCBO protected outlets. 32 Amp 3 phase supply with 6 x 15 Amp MCB/RCD protected outlets. This power board is a compact highly durable IP56 rated portable power distribution board. The board is feed from a 32A 3 phase + Neutral and Earth supply. It comes complete with 3x20A RCBO protected circuits with 2x15 Amp outlets per circuit (2 outlets up to 4800W per phase). The board is made using quality Australian standard components. Industrial Power Board 10 Amp 240V Single Phase Supply with 6x16 Amp Outlets. This indus..
Industrial Power Board 10 Amp 240V Single Phase Supply with 4x16 Amp Outlets. 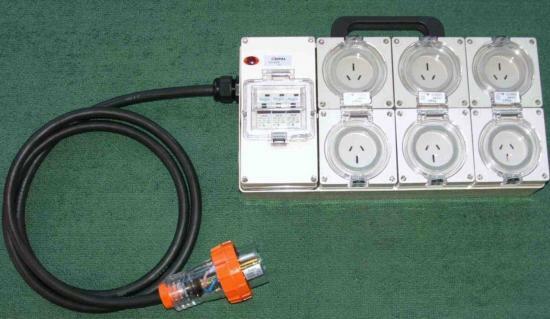 (Image Rep..
Industrial Power board - 32 Amp 3 phase supply with 2x20 Amp & 4x15A outlets. 32 Amp 3 phase supply with 2 x 20 Amp & 4 x 16Amp MCB/RCD protected outlets. 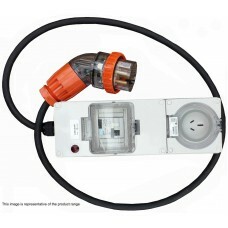 This industr..
Power board - 32 Amp 3 phase supply with 1x20 Amp IP56 rated RCBO Protected Outlet. 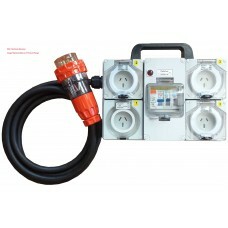 Portable Power-Board 32 Amp 3 phase supply with 1 x 20 Amp RCBO protected outlet. This pow..
Portable Power-Board 32 Amp 3 phase supply with 6 x 15 Amp MCB/RCD protected circuits. 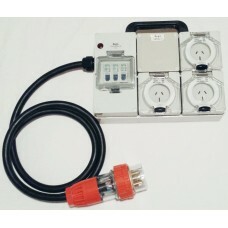 ..
Power board - 32 Amp 3 phase supply with 1x15 Amp IP56 rated RCBO Protected Outlet. Portable Power-Board 32 Amp 3 phase supply with 1 x 15 Amp RCBO protected outlet. This pow..
Industrial Power board - 32 Amp 3 phase supply with 6x15A outlets over 4 circuits. Industrial Power-Board 32 Amp 3 phase supply with 6 x 16Amp outlets across four circuits. 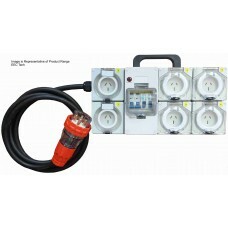 ..
Portable Power-Board 32 Amp 3 phase supply with 3 x 15 Amp MCB/RCD protected outlets. This pow..